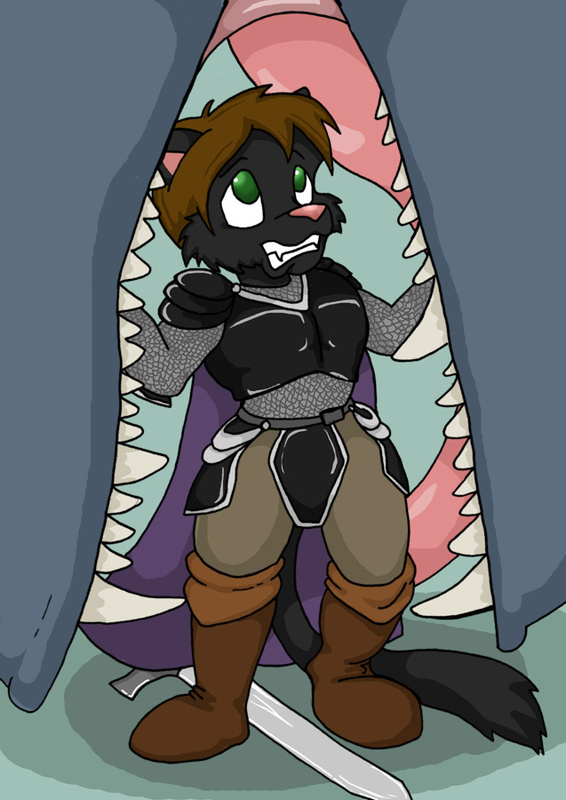 Another early 2010 pic, this one of Sir Kain taking on a creature that may be a bit out of his league! And soon about to become its snack if he doesn't think fast! A fun commission by 3t. Their upload is HERE if can comment and fave there too!